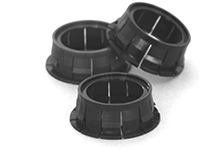 To meet new market requirements, GEFICCA offers to combine plastic parts injected with elastomer solutions. GEFICCA integrates the study, the tooling process, the automation and control of plastics materials such as PA, PC, PBT, PPS, POM, PVC and any technical material with various polymer fillers. 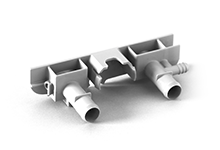 Plastic injection molding is a technique of manufacturing parts from large to very large series. The plastic material (eg PP, PE, ABS, etc.) is in the form of granules in the hopper. This one must have a first transformation, it is heated inside the sheath and then kneaded by a screw. This first step is called plasticization. As a result of this operation, the viscous material is pushed into the mold by a piston. It's injection. In order for the material to solidify, it is then necessary to thermo-regulate the mold. 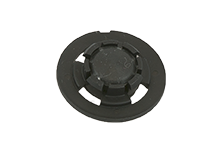 The molded part can then be ejected after opening the mold tanks to an ejection system.